If you’re looking to improve the patient experience, it’s a great idea to start with a little revamping of your waiting room. 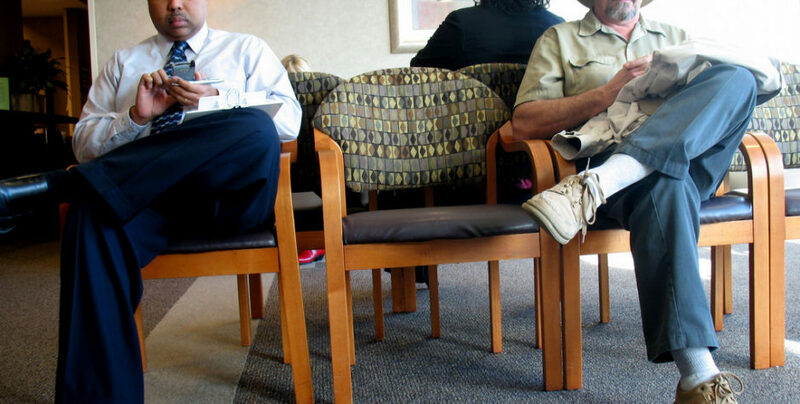 Here’s how you can improve waiting rooms for patients so that they can stay occupied. It may seem simple, but having small comforts of home like the ability to make yourself a warm up of tea or coffee can make a huge difference to your patients. Just imagine all the sore throats that come through your space. Additionally, studies show that when waiting at a doctor’s office, it’s more about the perception of how that time is spent as opposed to the actual length of time spent waiting. Touch-based patient registration tablets offer self-service capabilities to hospitals, physician clinics, surgery centers, and standalone emergency clinics. It affords patients the convenience of pre-registering from any outside web portal, then checking in by using a tablet or iPad when they arrive for their appointments. It’s been said to reduce patient wait times by as much as 75%, substantially cut down on paperwork and help handle high patient volume without increasing staff. When it comes to seating, it’s important to remember that what works for one person may not be comfortable for everyone. For example, older people or pregnant women may struggle with deep cushions that are difficult to get up from. Purchasing seating that is adjustable will help you cater to your patient’s individual needs. Many patients have to take time out of their busy workdays to make their scheduled doctors’ appointments. Instead of a rack filled with out of date magazines, why not give patients the opportunity to be productive by completing emails and other work related to-dos on your office’s wifi network? You can also direct them towards patient educational health materials on your website or social media networks. Patients will appreciate you taking an extra interest in their health and being considerate of their work obligations. Ultimately, waiting is merely a part of life. However, by adding a few simple extras to your waiting room you can help ease what is otherwise an often unpleasant experience.